Proper car maintenance is equal to safer journeys. 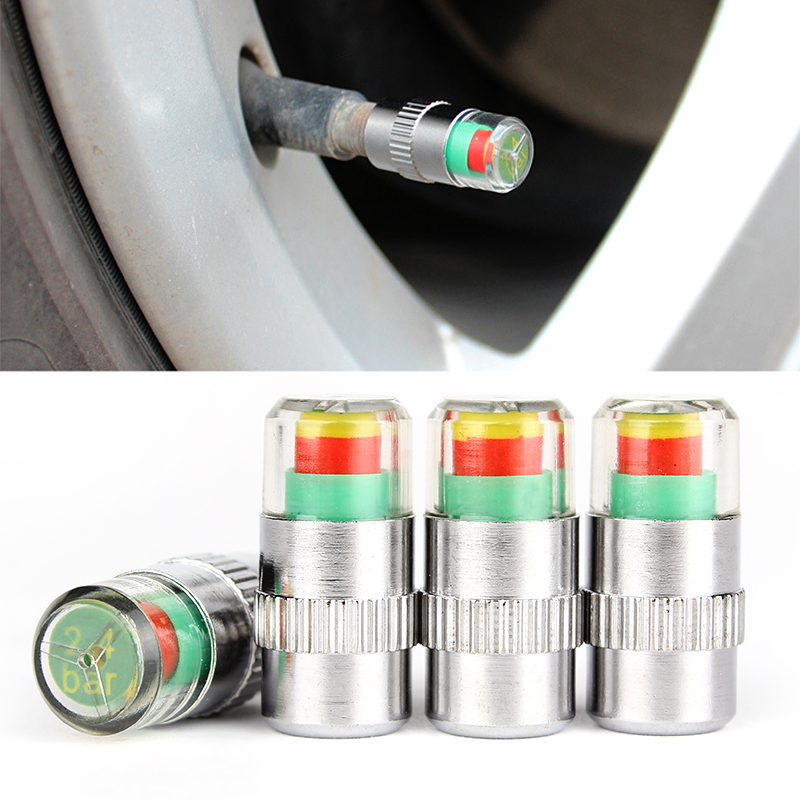 Replace all your tire caps with this set that helps you monitor your tires' pressure effectively. These caps help you avoid guessing that could lead to a bad decision of bypassing the need to have your tires monitored. Buy this set of caps today and be safe on the road! Universally fits any standard size tire. A cap will change color when its pressure goes down. 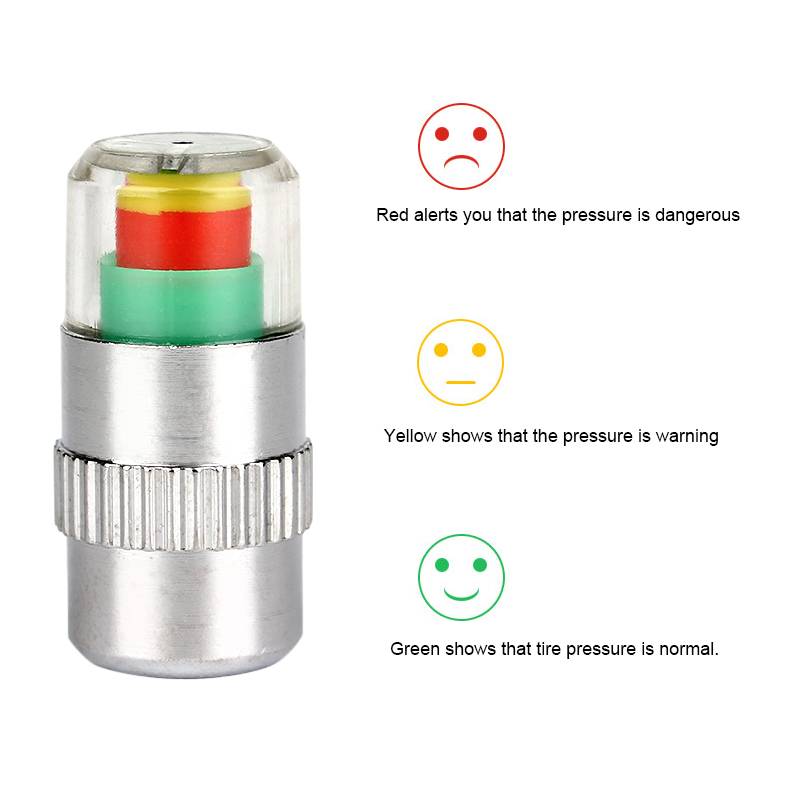 Green indicates a normal pressure, yellow indicates warning and red means that your tires' pressure is dangerously low.